One of two (almost identical) cabinets that house the power supplies and controllers for my Christmas light display. 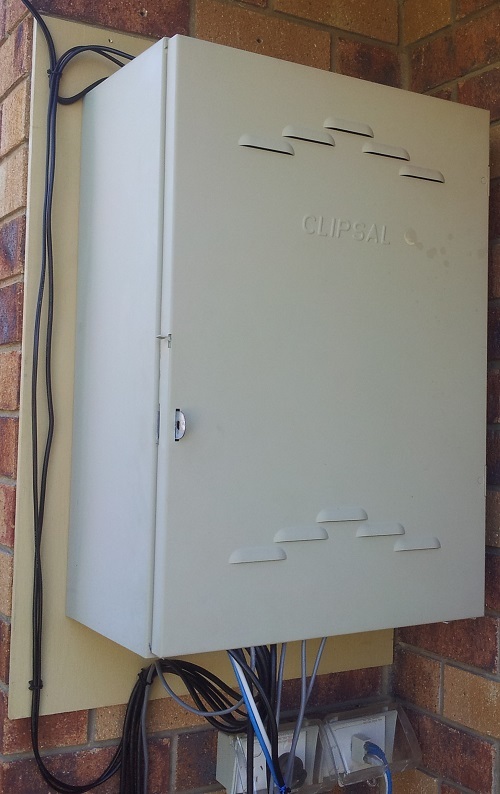 It is a standard QLD meter box cabinet bought from a local electrical wholesaler. I mounted it on a piece of painted plywood using screws through the back of the box. The wood base attaches to my house with 3 anchor bolts, making it easy to put up and take down. You can see the dedicated GPO and network outlet on the wall under it. The outdoor housing for each provides weather protection. 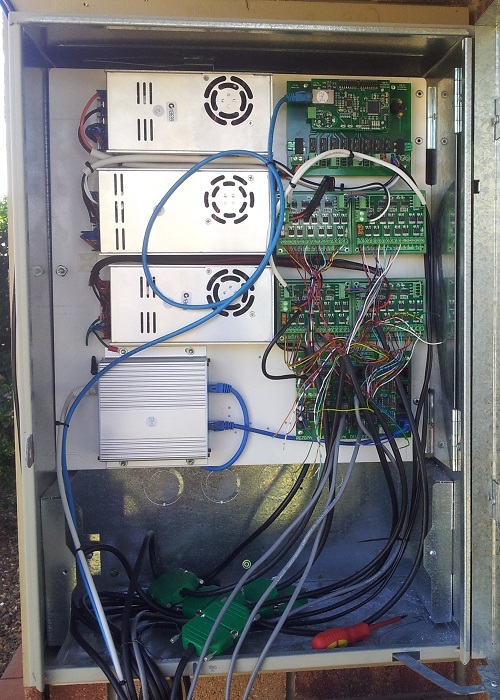 All of the power supplies and controllers are mounted on the swing-out panel. 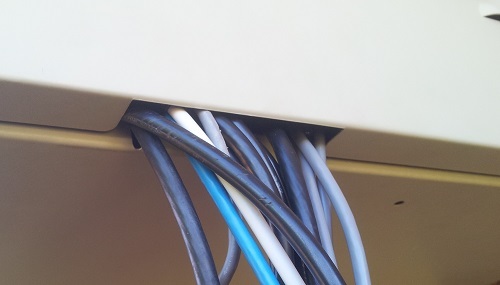 The DIN rail section down the bottom was removed so the cables could occupy that area. Since the swing-out panel is removable, I can put the box up and take it down without the weight of all the control gear. 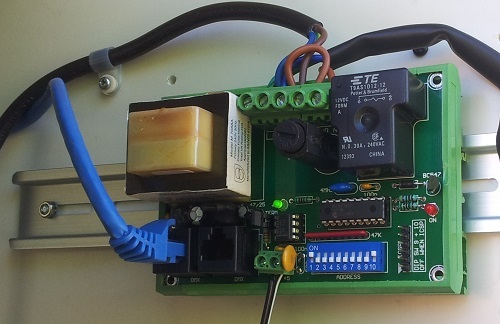 There is a DMX relay board on the back of the swing-out panel. It provides power for the ECG-DR4 (E1.31 to DMX interface) and is fed DMX from it. All of the switch-mode power supplies are switched on and off by this board. Start-up and shut-down sequences in LOR S3 software take care of turning the equipment on and off each show. All of the cables exit at the bottom via a recessed area in the door panel.